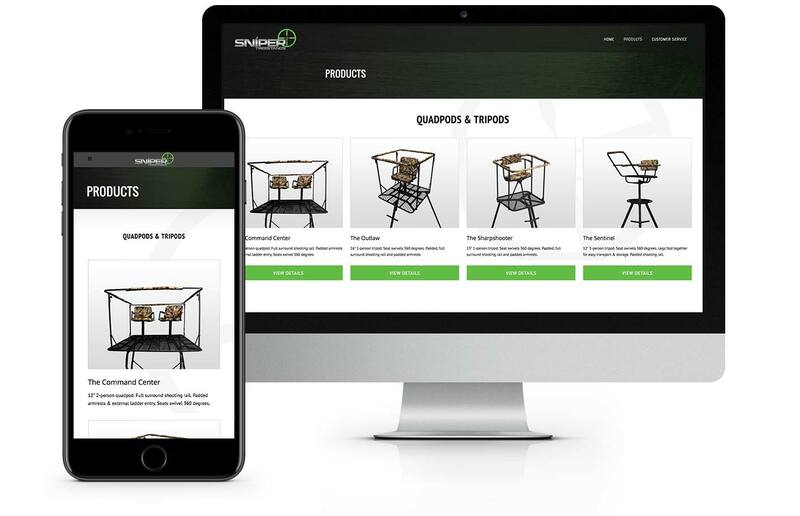 Sniper Treestands is a Minnesota-based tree stand manufacturer focusing on the creation of simple, solid and affordable tree stands, tripods, quadpods and related products. Virtual Monk designed snipertreestands.com to reflect their established branding, while bringing the site up to contemporary standards. While the stands themselves will not be sold through the site, the replacement parts for the stands will be, giving the website a very large e-commerce store.